What are the basic laws of the economy? 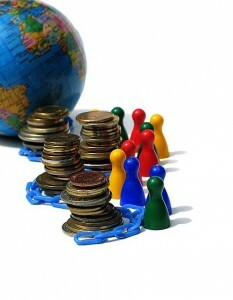 Blog Archive » Finance in answersWhat are the basic laws of economy? What are the basic laws of economy? If we want to understand changes in the economy and be always prepared for the new challenges, we must know what the basic laws of economy are. They are natural, so regardless of the structure of the market , they always work, and they are always the same. If demand increases and supply remains unchanged, it leads to higher price and higher quantity. For example, if more people on the market suddenly want to buy more apartments and at the same time there are no new investments in buildings, the price of real estate will grow. If demand decreases and supply remains unchanged, it leads to lower price and lower quantity. For example, if people suddenly buy fewer cars than they used to and the number of cars on the market is the same as before, the price of cars will go down. If supply increases and demand remains unchanged, it leads to lower price and higher quantity. For example if the investors are investing in construction of new apartments and people don’t want to buy them for current market price, the investors will be forced to sell them at a lower price. Should they wait longer to sell the properties, they may experience a greater loss as the price decreases. If supply decreases and demand remains unchanged, it leads to higher price and lower quantity. The best example is the food market in times of extremely bad weather conditions (like floods). Such a period is often followed by a shortage of food, so the prices go up. Food is of fundamental importance for every man, so demand for that good is always constant. What determines the supply and demand? The determinants of supply are, among many others, production costs, the technology used in production, the price of related goods, a company’s expectations about future plans, and the number of suppliers. On the other hand, the determinants of the demand are income, preferences of consumers, prices of related goods and services, consumers’ expectations about future prices, and the number of potential consumers. As we can see, there are many variables that influence the supply and demand. Certain combinations of these variables will result in one of four mentioned combinations of demand and supply. Every economy is functioning on these principles, regardless of whether the economy is strong or weak. Many business people in the past were aware of these laws, so in times when consumers didn’t have any protection offered by the state, they were consciously gathering and producing goods in limited quantity. The goods were more expensive and the profit was bigger that way. This approach is known as oligopoly. There were also monopolies where one businessman could control the whole market and could use that advantage to make the goods rare on the market to earn extremely high amounts of money for them.